AASHA is located in Guwahati Assam . AASHA is registered as a Society at Guwahati of state Assam with Ngo unique registration ID 'AS/2010/0035044' . 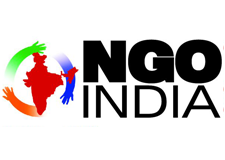 The NGO registration is done by Registrar of Societies with registration number RS/NAL/246/C/63 on the date of 29-09-2003, Its parent ORganaisation is . The Chairman of AASHA is Upen Kalita and Chief functionary officer is Ratul Barman. Promoters are Chayanika Barman, Abani Kalita, Dipali Kalita Debi,Jonali Kalita Deka. Health & Family welfare, Sports, Child labour, Cultural, education, fishery, agriculture, agri allied, cane & bamboo handicraft, weaving & loom, cluster development, micro finance, entrepreneurship development, rural development, SHGs promotion and management, computer education & IT,disability, HIV/AIDS awareness, art & craft etc. The platform is fully transperant and distinct for all created by the people, for the people and of the people.